Along with chloride and sodium, potassium is one of your body’s most important electrolytes, which are minerals in your blood, urine, and bodily fluids that contain an electric charge. Your body’s cells use electrolytes to carry electrical impulses throughout your body. These charges help your cells communicate with each other and give you the ability to taste, see, smell, touch, and hear. Nearly 70% of the potassium in your body is found in bodily fluids like plasma, blood, and sweat, while the rest is stored in your bones. So, if you sweat heavily during intense exercise, you actually lose potassium through your sweat! Athletes should be especially concerned with their potassium intake; potassium is involved in the storage of carbohydrates to fuel your muscles. Specifically, potassium works to regulate the muscles and nerves. The frequency and degree to which your muscles contract is heavily dependent on the right amount of potassium in the body. When potassium is deficient in the diet, or when the movement of potassium through the body is blocked, your nervous and muscular systems can become compromised. A sufficient amount of potassium is essential for keeping your muscular system running smoothly, so make sure you’re getting enough! The Adequate Intake (AI) for potassium is 4.7 grams per day, but most Americans don’t get enough potassium in their diets. 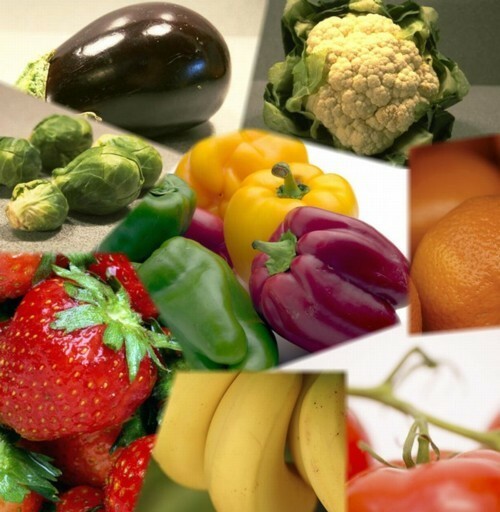 However, because you lose potassium through sweat and urination, you need to be consuming potassium-rich foods each day, especially if you’re an athlete. Low potassium levels can reduce your energy and endurance. A recent Australian study with highly trained athletes showed that drinking a caffeinated beverage immediately before exercise can help to maintain adequate potassium levels in your blood and delay fatigue during your workout. What role does potassium play in maintaining healthy blood pressure? Many people know that high sodium intake is associated with hypertension, or high blood pressure. A reduction in dietary sodium will help to lower blood pressure in people with high blood pressure, but new evidence suggests that optimum dietary potassium intake is important for keeping your blood pressure and heart healthy. So, how does potassium affect blood pressure? The kidneys regulate the body’s potassium levels; the more potassium present in the body, the more sodium is excreted through urine. By eliminating excess sodium, potassium works to relieve pressure on artery walls. Many doctors recommend that hypertensive patients should adhere to the DASH (Dietary Approaches to Stop Hypertension) eating plan. The DASH diet is intentionally high in potassium, magnesium, and calcium, and low in total fat, saturated fat, and sodium. If you have high blood pressure, check out the DASH plan to see how you can reduce your risk of hypertension. A key component of the DASH plan is to reduce the amount of sodium in your diet, which can simultaneously increase or maintain your blood plasma levels of potassium. The diet emphasizes whole grains, fruits, vegetables and low-fat dairy products—a healthy eating plan that has been shown to have protective effects against osteoporosis, cancer, heart disease, and diabetes. What are dietary sources of potassium? Potassium is found in a wide variety of foods. Bananas are famously associated with potassium and are frequently given out after athletic events in order to promote muscle recovery. Fresh fruits, especially citrus and melons, and vegetables, especially leafy greens and broccoli, are an important source of potassium. You can also find the mineral in fish, most meats, and milk. Sweet potatoes and legumes like lima and kidney beans are also high in potassium. Sports drinks, however, are typically a poor source of potassium. What happens if you don’t get enough potassium? Can you get too much? Because so many foods contain potassium, it’s difficult to have a deficiency that results from inadequate dietary intake. But remember that the body loses potassium each day through urination and sweat. So, if you live in a hot climate, visit steam rooms or hot yoga studios, or regularly engage in strenuous exercise, it’s important to make sure that your body has an adequate supply of potassium. Even a moderate reduction in your potassium levels can result in salt sensitivity and hypertension. Low potassium levels also lead to greater risk of bone loss; consuming adequate potassium helps to maintain bone mineral density. Hypokalemia, the medical condition that results from a potassium deficiency, can happen concurrently with certain diseases or can result from taking water pills for the treatment of high blood pressure. Also, many medications—including diuretics, laxatives, and steroids—can cause potassium loss. If you are taking any of these medications, it’s important to get your blood levels of potassium checked regularly. Having too much potassium in the blood causes hyperkalemia. A few sources of this disease include impaired renal function (especially in people receiving dialysis), infection, and an abnormal breakdown of protein. How do you know if you’re getting a healthy amount of potassium? Your body will definitely let you know if you’re not getting enough potassium. If you’ve been experiencing muscle cramping or high levels of thirst, you might want to get your potassium levels checked. The InsideTracker Ultimate Plan tests blood potassium levels so you won’t be left guessing about what’s going on in your body. If your potassium intake is low, InsideTracker will give you some recommendations about how to increase the amount of potassium in your diet, and introduce you to some new foods that will help you do that. Because we want you to be the best you possible, we've created a FREE E-BOOK to help you gain an inner edge...enjoy!